Last night at the Dorset Branch of the IGKT held its monthly meeting in the Royal Dorset Yacht Club The theme for the evening was to make a decorative Bell Rope Keyring. 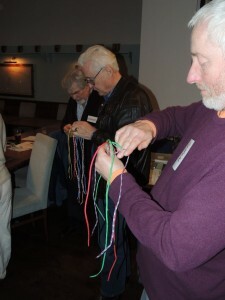 For most members this was the easy bit, to middle three lengths of cord and to make a 3 Strand Plait. This small section of Plait would then form a loop for the key ring itself. 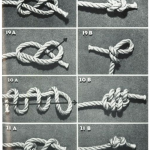 Once the 3 Strand Braided loop had been formed the ends would then need to be all seized together with a Constrictor Knot. 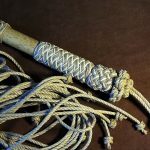 It was then suggested that maybe the next knot to follow on from our now seized 3 Strand Plait, would be a nice decorative knot such as the Matthew Walker Knot. 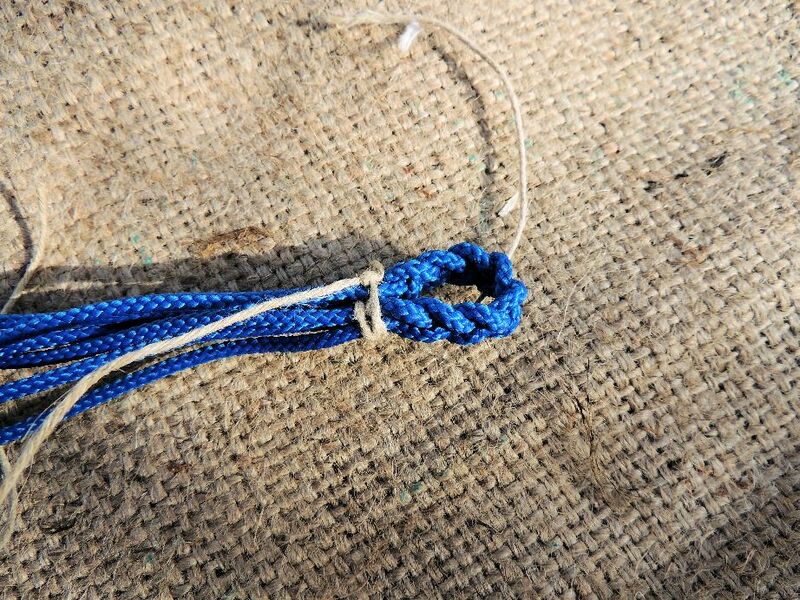 For the main body of the decorative Bell Rope keyring it was then suggest to use the crown knot. The picture on the left shows how the 6 strands are intertwined to form the crown knot (before it is pulled up tight. 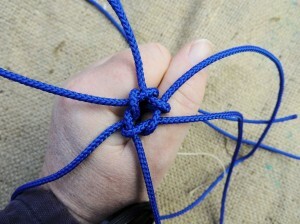 When producing the crown knot, if you always work in the same direction i.e. 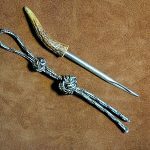 clockwise, this will produce a nice round spiral body. However, when crowning, if your reverse the direction each layer, this will form a squarer shape to the main body. 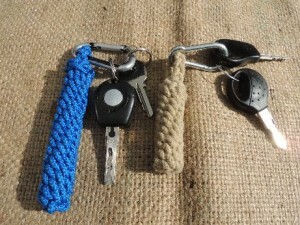 There were various suggestions on how to finish the key ring, the Turks Head was suggested. 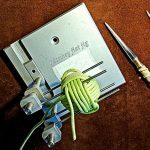 Obviously due to time constraints members were not able to produce their work in time for this blog post, but hopefully next month I will be able to show some results. 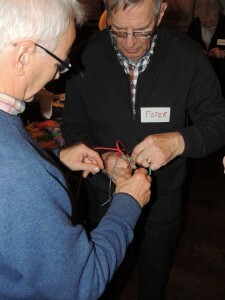 Below are some photos of members learning some of the techniques mentioned above.